On notera la parution en ligne des actes du colloque jeunes chercheurs du CERACC qui s’est tenu presque jour pour jour l’an dernier, organisé par Camille Deltombe et Aline Marchand. Le lecteur est placé au centre des réflexions, non simplement comme figure mais surtout comme élément central de la mise en fiction. Proscription d?un lecteur dont la place est saturée, ou invitation à prendre une part active à l?écriture, à éveiller le ou les sens du texte, les fictions contemporaines semblent en tout cas faire du lecteur un véritable enjeu, exiger de lui des compétences atypiques, et peut-être, promouvoir une nouvelle éthique lectoriale. Thomas L. Martin, Poiesis and Possible Worlds. A Study in Modality and Literary Theory, University of Toronto Press, 2004, 256 p.
In Poiesis and Possible Worlds, Thomas L. Martin makes a highly focused intervention in the debate about poststructuralist and postmodern theorizing and offers a philosophical approach to some of the controversial tenets of recent theorists. The result is an important addition to the existing literature on the usefulness of possible worlds theory for literature. Martin argues that literary studies remain mired in the anomalies of a linguistic methodology derived from early twentieth-century language philosophy, a view challenged not only by theoretical physics, but also by compelling advances in philosophic semantics. The possible-worlds theory of this book moves beyond the understanding of language as an inescapable medium and toward a view of language as calculus, a theoretical outlook that provides richer means to model a wide range of literary worlds. These possible-worlds insights apply to several fundamental issues in literary and critical theory: not to a theory of fiction as other possible-worlds theorists have suggested, but at a lower level to the definition of literature, to verbal figuration in the theory of metaphor, and to models of reading. 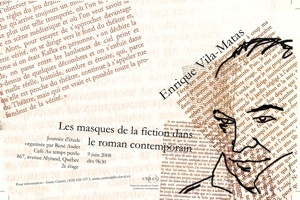 A. Riberi, Fictions as Cognitive Artefacts: The Case of Jorge Luis Borges? ?Tlön, Uqbar, Orbis Tertius?, Magnolia Press, 2004, 200 p.
Although contemporary studies have grouped fictions into two large classes: cognitive fictions and narrative fictions, in the case of Jorge Luis Borges? ?Tlön, Uqbar, Orbis Tertius? these two notions seem to coincide. An examination of the correspondences between the story and a number of philosophical ideas, principally those related to gnoseology and representations, contributes to an elucidation of the role played by fiction in the discourse of knowledge. The study presents five thematic nuclei which intersect with notions of fiction that are discussed therein: philosophical idealism, history, utopian genre, language and representations. The cognitive power of fictional constructs lies in the apperceiving power they are able to prompt. They force our imagination into a space where two disproportionate elements are drawn into a comparison and thus an analogical pattern can be established. Fiction opens up complete new scenarios of thought. In a general sense, the enquiry concludes that narrative fictions advance knowledge inasmuch as they bring forth possibilities that otherwise would be excluded from our habits of thought. The knowledge of the world necessitates fictionalising acts through which the actual can be contrasted with the imaginable. The story that constitutes the corpus of this inquiry is a paradigmatic example in that sense. Parution signalée sur Fabula par Nancy Murzilli.